28 June / On Tuesday, 3 July at 5 p.m. Maret Olvet’s personal exhibition based on her series of prints “Estonian Theme” will be opened in the small gallery of the Tartu Art House. The series is dedicated to the one-hundredth anniversary of the Republic of Estonia using the colours of the national flag and simple geometric shapes. 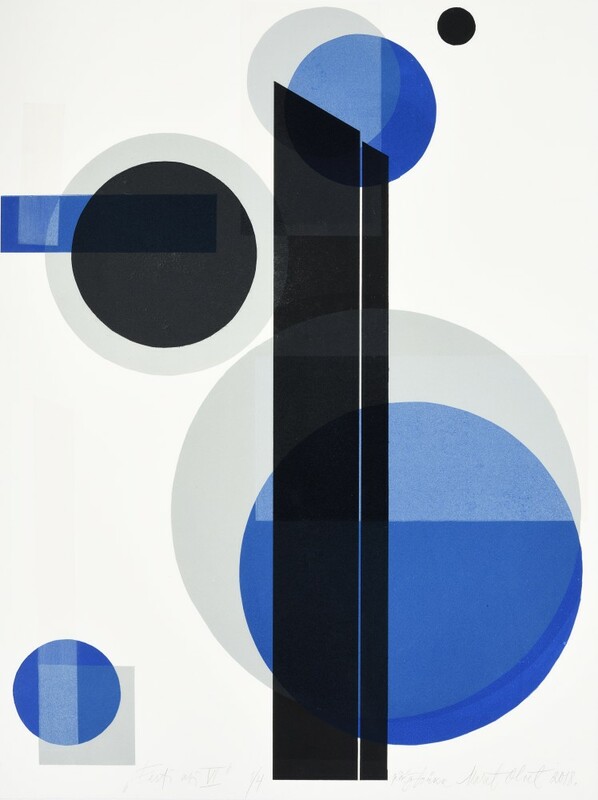 Since the beginning of the century, Olvet has been using abstract language in her works. Without gravitating to pure conceptualism or absurd, the present series contains a clearly perceptible sense of playfulness that turns the anniversary into a jubilation. Maret Olvet (b 1930) has graduated as a printmaker from the ESSR State Art Institute. She has worked as a freelance artists and as a designer. Since 1957, she has participated in exhibition in Estonia, the former Soviet Union and abroad. Her last personal exhibition at the Tartu Art House took place in 2002. The exhibition will remain open until 29 July. 19Apr Mingi hulk kõnelusi. Mingi hulk kõnelusi (Some Quantity of Conversations) ia a performance by prose poem of Aleksander Vvedensky, a Russian avant-garde poet from the 1930s.